Think your favorite drink, Tequila Sunrise. 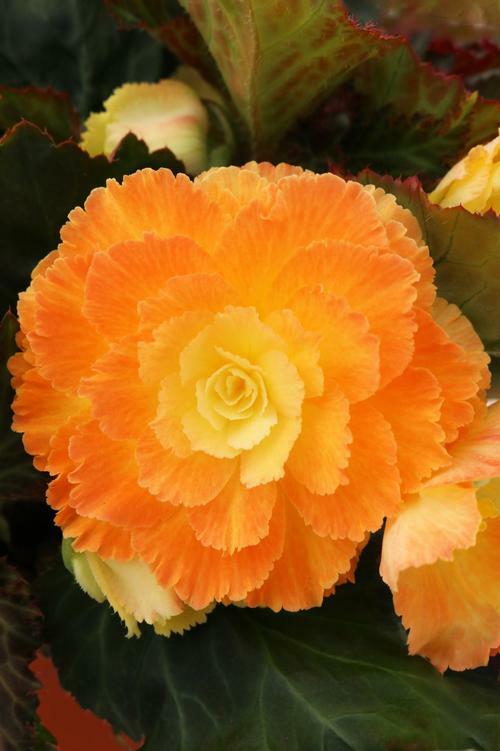 Double blossoms stand out with yellow centers and bright orange outer petals, above dark green foliage. This series features exceptionally large, showy flowers held above dark foliage. Semi-upright plants are well branched plants proven to perform. Look for many of our old "Unbelievable" series plants here.